Jaded Blossom: Believe in Yourself! Hey, it is Melissa from M Miranda Creations! It's my day to share and I'm excited about how this gift set turned out!!! As an older woman, sometimes I think it is important to remind a young lady that no matter what she just needs to believe in herself!!! So that is what this set is about. It will be a gift set to let one special young lady know that I believe in her too! 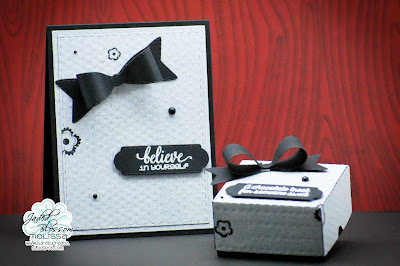 I decided to make a card and gift box set. The box will be filled with chocolates. Yum!!! 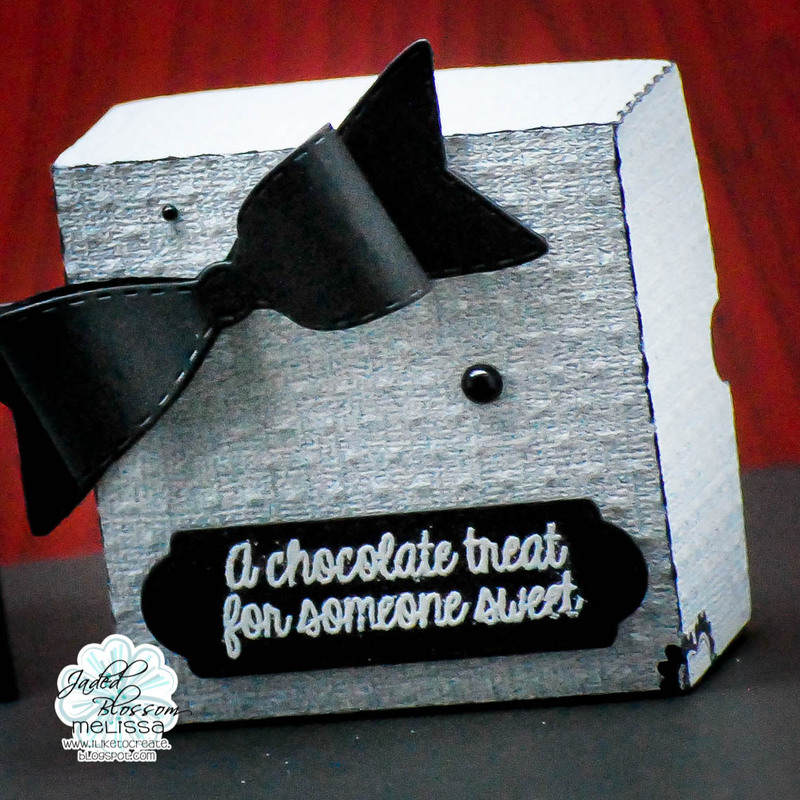 For the card, I used Card Mat Dies, Rectangle Dies 2, Bow Dies, Mini Tag Dies 2, and Encouragement. The box was made from an SVG file from SVG Cuts called Simple Box. I reduced the size so that it would better hold some Ghirardelli Squares. I then used Bow Dies and Mini Tag Dies again - along with Chocoholic for the sentiment.The gray paper is from Co'ordinations and the black card stock is from Papertrey Ink. I added a few black embellishments as well. So glad you stopped by to take a look!!! What a sweet way to tell someone they are special!! Love the idea!! Your gift set is adorable!